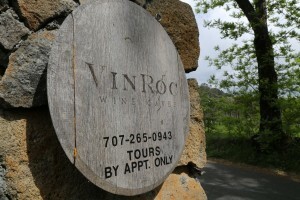 VinRoc is owned by Michael Parmenter and Kiky Lee. We have met with Napa vintners from a variety of backgrounds including a former prison guard, a marine biologist, cattle rancher, but this is the first vintner whose background involved shoe manufacturing. 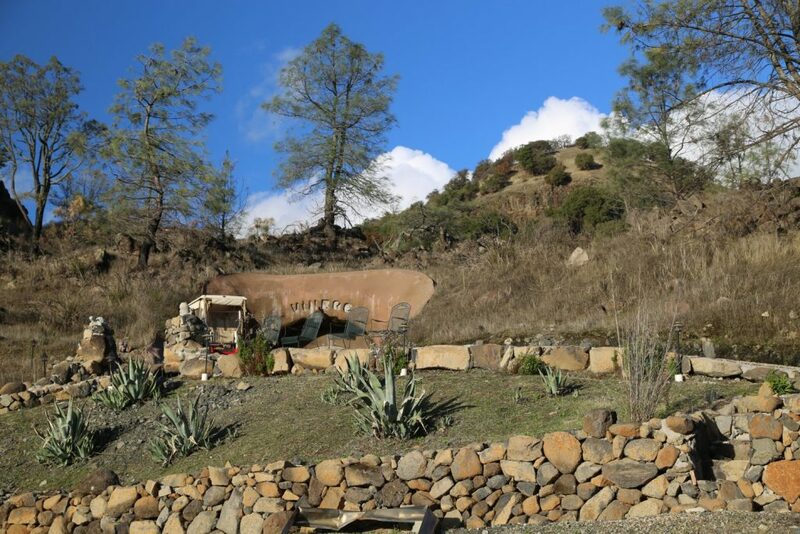 Looking for a change in the 1990’s and to “escape” Los Angeles for a country location Michael & Kiky began looking for property specifically in northern California wine country. They have both enjoyed wine for many years. After nearly 2 years of looking for property they purchased 35 acres in the hills east of the Napa valley floor in 1999. This was raw land with no other vineyards in the immediate vicinity. With no intention of making wine commercially they soon planted 5 acres of vines – to three clones of Cabernet Sauvignon. As their wine interest grew they both decided to enroll in viticulture classes at Napa College. After a few years the fruit was ready and so Michael re-enrolled, this time taking enology classes. By this time Napa Valley College was building their own winery. They waited 4 years after planting their vineyard to produce wine. By this time they had significantly increased their knowledge of both the vineyard as well as the winemaking. Michael also wanted to help build the reputation of region and together with a nearby vintner helped start the Atlas Peak Association (he was their first president). This is truly a small family owned winery as both Michael and Kiky handle everything themselves from the vineyard management to the winemaking. The vineyard is at an elevation of 1600 feet, planted on south west facing slopes just below Atlas Peak. Growing conditions are excellent as they are above the fog line which along with their vineyard’s orientation allows them to receive additional sunlight hours. 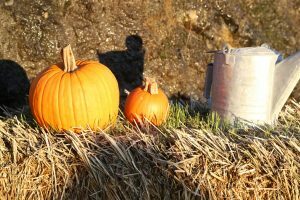 Even though the days may warm up in the summer, the nights are typically cool; this diurnal difference is instrumental in long hang time and ripening fruit evenly with good acid balance. This is mountain grown Cabernet Sauvignon country and that is the varietal they focus their efforts on. Everything at this winery is completely micromanaged and often their harvest can take 3 to 4 weeks as not every block ripens at once. Only a ton is picked at any one time and only specific clusters are harvested when acidity, flavor and sugar are at the desired level. They will return a number of times to pick only ripe clusters throughout the harvest even to the level of picking specific rows. This of course is not the most cost effective way to harvest a vineyard, but is what counts when your focus is on quality. The ripe blocks of their vineyard are harvested and then allowed to ferment and age totally separate from the other blocks until the final blending decisions take place usually 18 months later. 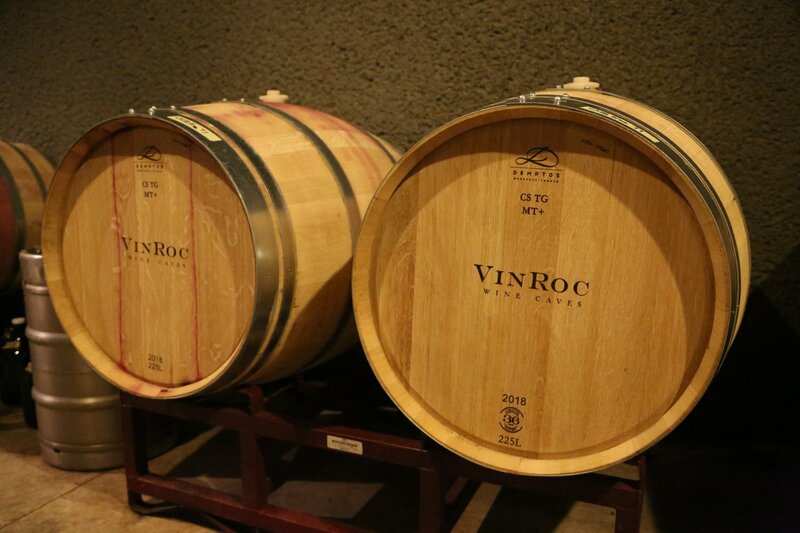 The red wines typically spend two years in barrel and another 1.5 years in bottle before being released. The soils at the vineyard site are volcanic in origin, very rocky and red underneath the surface – ideal growing conditions for premium Cabernet Sauvignon. 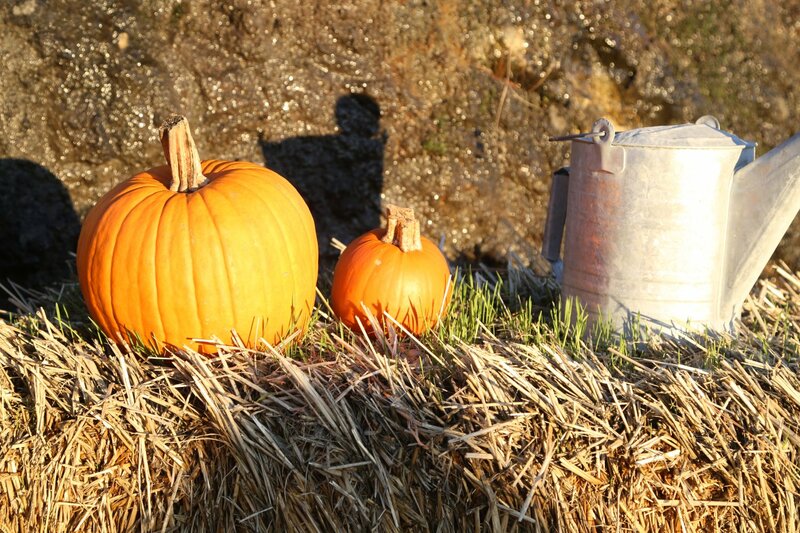 As a result, yields are low and flavors are concentrated. Their “fun wine” is a dry rosé – a wine that Kiky enjoyed during a number of trips to Southern France. Not often finding a “true” rosé in Napa, they decided to produce small amounts of this. This wine is a very unique blend of Grenache and Barbara. These varietals are not usually found in Napa and as a result they source the fruit from Lodi. This wine was not created by bleeding off juice, i.e. the commonly used Saignee method. Rather it was made in the tradition of Southern France where the juice is allowed to sit on the skins for a short while, creating a dark pink color. The fruit was picked lower in sugar with a higher total acidity. This wine pairs well with food or can also be served as a stand alone wine, especially in summer. 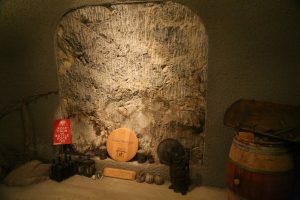 2004 was their first commercial release with the wine made at the original Judd’s Hill Winery for several years until the 3,500 square foot VinRoc wine cave was completed. The 2005 VinRoc Cabernet Sauvignon shows just a nuance of cedar in the bouquet with pretty red and darker fruit on the palate – this wine is well balanced between flavor, acidity and structure. You can certainly drink this now, but its going to continue to evolve with some aging. 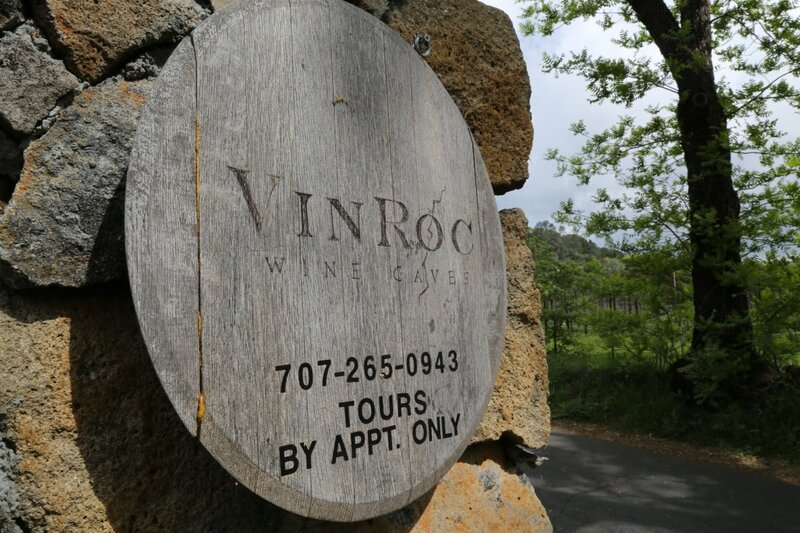 During our first visit to their property we tried the 2007 VinRoc Cabernet Sauvignon. This is their signature wine. The bouquet reveals appealing baking spices which as the wine opens shows more fruit. 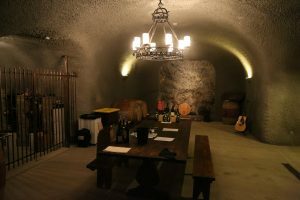 Earthy and dusty aromas are also present. The entry is soft and continues smooth and rounded throughout the palate. Blackberry, blueberry and dark fruits show. The finish is defined by silky tannins which linger gently for some time. This wine is delicious and certainly ready to drink young but will continue to evolve and drink well for a number of years. 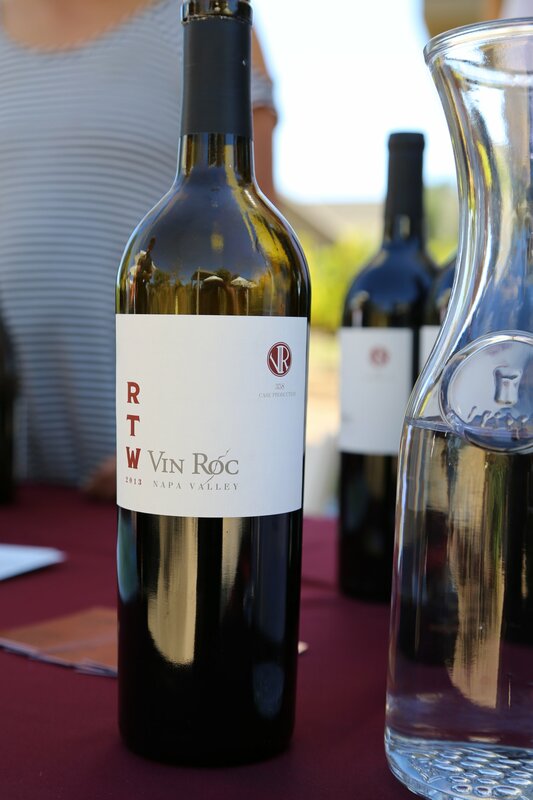 A second label is simply titled Enjoie RTW or “red table wine” – this includes fruit from the estate as well as purchased fruit from Napa Valley. It is interesting to note that government laws specify that wine called “table wine” must be under 14% alcohol and this wine is under 14% alcohol. Kiky’s background is in art design and she creates all their labels. Michael speaks of a type of “zen” approach to wine making… patience of course, but discovering how things evolve both in the vineyard and wine making. Also like the sacred “mandalas” which are a thing of beauty but then disappear when the artist blows them away, so to with wine, once its consumed it is gone. The word on the door to the cave means “wine” in Chinese and there was an Asian theme to their custom built home (which unfortunately burned to the ground in the October 2017 fires). This major fire tore through Atlas Peak – the stories of survival that we have heard first hand from speaking with a number of vintners directly effected in the path of this particular fire are remarkable. Residents escaped with only the clothes on their back and their vehicle – some were caught fleeing the fire down by the pet cemetery unable to exit Atlas Peak Road due to a tree that had fallen and completely blocked the road. With flames surrounding combined with horrific winds and smoke, we can only imagine the nightmare that was ensuing – fortunately the tree was finally cut, letting the line up of cars drive through the flames and thick smoke to safety at ‘the bottom of the hill’ near Silverado Trail. 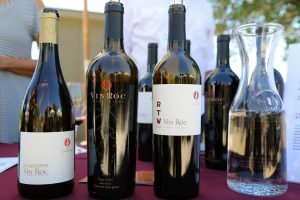 We are all hoping for a speedy recovering from the Atlas Peak Fire – this has been devastating to a number of homes and wineries including tiny producers such as Vin Roc who also lost their house in the fire.